Well, ladies, is there any desire or urge inside you to get a hair life? If so, weaves are the best options to go for and decide on. Weaves always happen to be the greatest way for the protection of your natural hair and they endow you with a glamorous look which lasts for long time. But you need to be well-aware of the companies offering the weaves. You need to choose the ones, which are authenticated and offer the best remy hair weave. 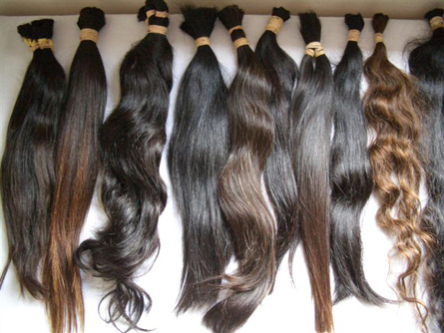 Buying a quality or good remy hair brand could be expensive. And at the same time, you also do not want to damage your hair with less-expensive products. Therefore, we bring you the best remy hair weave brands, which are economical and give you style and stunning look. This remy hair weave brand is much popular and most importantly it is known among the celebrities who love sporting this look. Among them are Angela Simmons and Cassie. This brand’s catch is its natural appearance. When used, it can be washed, curled, blow dried, colored, flat ironed and premed while it still manages original beauty of the hair. This brand is the offering of Sensationnel. Many of us are not aware of the fact that till recent past, the virgin Indian remy weave were only available through the private arrangement. But now you may have it online or through various sources. It may also be bought in five various textures like loose deep, loose body, Yaki natural, natural body and Yaki straight. Next among the best remy hair weave brands is none other than Extensions Plus, which is made from hundred percent human hair. Its claim is to be the best, bounciest, smoothest and lustrous tresses in the entire market. The interesting about this brand is that it carries a combination of various lengths and is comes with ready to wear textures so that you can get a natural layered look. This one proves to be the new class of faultless 100 percent remy hair. The best about it is that it gets developed using the advanced technologies and techniques, which particularly make focus on preserving and fortifying the cuticles at its healthiest form. Result of this brand is most shiny and stunning hair look. This brand is a class apart since it is one of the newest hand-picked hundred percent human tresses. The best characteristic about Hollywood Virgin Remy is that it carries live cuticles which are present in the tresses’ shafts which ultimately prevent tangling and then allow your tresses to be manageable. Choosing the one or more among the above mentioned best remy hair weave brands should be your prior most choice if you are really interested in getting a stunning gorgeous look. Go and get the one you like the most in this list.